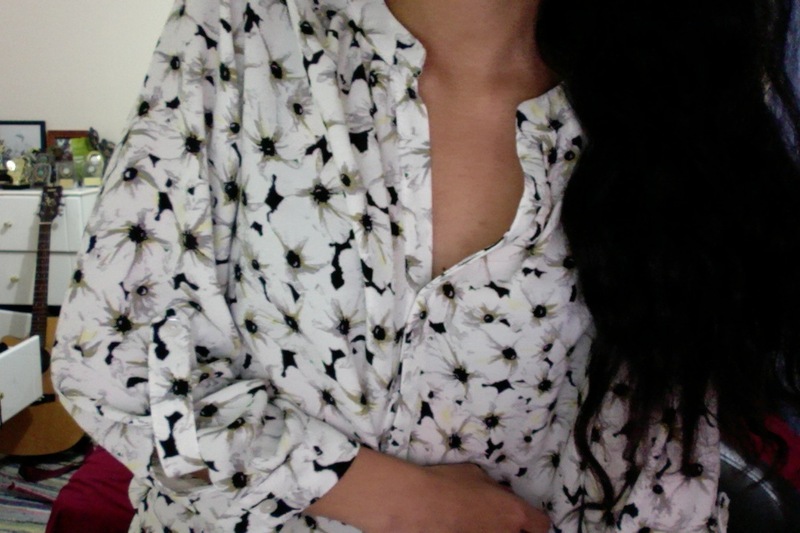 Been loving wearing flowery-printed shirts lately, maybe because during Winter I find fashion very dull coloured and there’s less blooming flowers around. 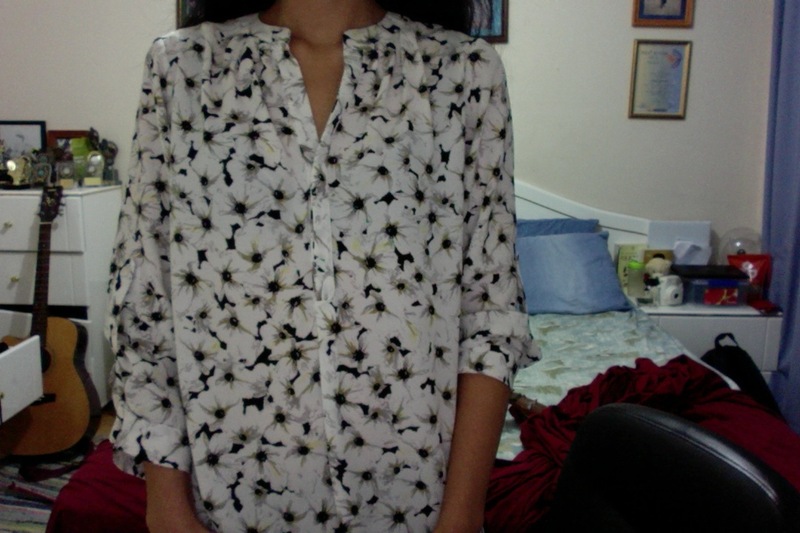 So I got myself a daisy patterned blouse that I think will be perfect to wear for work or play. It’s very light weight, by designer Dorothy Perkins and I’m already wearing a size 6 and it’s still quite loose, so I recommend getting yourself a size under. It’s collarless, button-down neckline with buttoned 3/4 sleeves.